Are you bothered by your pet's shedding? Is your couch/carpet/bed/car seat coated with fur? Are you worried that the bacteria from this furry environment may cause health concerns for you and your pets? Now our fur removal brush could help you solve this problem. 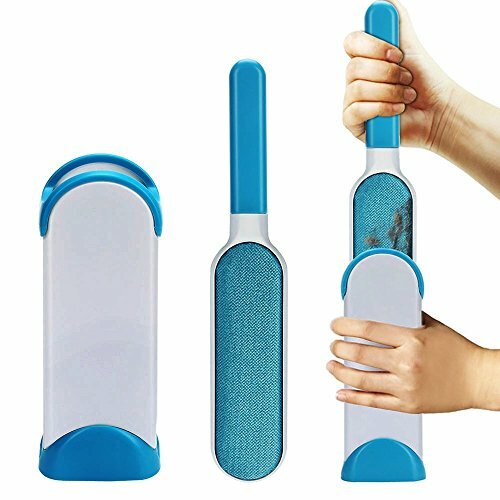 Easily sweep away all the fur and leave a clean environment, void of fur floating around to protect you and your pet's health. 1. Follow the direction of the bristles when using: the brush is directional, so you need to sweep it "against the grain" (rough) on items. If going with the grain (smooth), it won't pick up the hair efficiently. 2. When the brush is fully covered, insert and remove it from the holder until you get all the fur off the wand. Once again the brush is clean and ready to be used again. By Fantasy Farm Products Co.